The musicians in the church held a meeting about the instruments and finalized the inventory of the list of musical instruments and their ages. We realized that most of our instruments are serving us for several years already and maybe that’s the reason why they’re showing signs of retiring. The current drum set we’re using was a gift from my own brother and if I’m not mistaken we’ve been using it for a decade and a half. One of us canvassed the price of a new one and replacement parts for the used drum sets. It turned out that it’s more economical if we buy a new set than replacing the broken parts of the existing instrument. We’re being offered a nice price for the new one and we can save for it in the coming months. 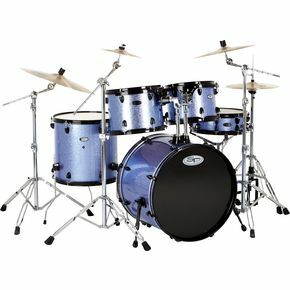 My little boy wants us to buy the old one so he can practice in the big real drum set at home.